Antibiotics are often prescribed for acne, but they only treat the symptoms temporarily and, as they kill off also the friendly intestinal bacteria we need to digest and eliminate toxins efficiently, they can make the matter worse in the long run. 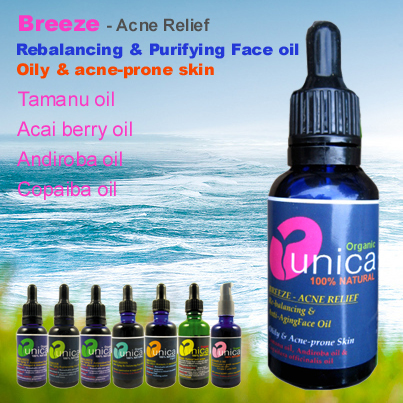 Unica Breeze organic face oil provides nourishment and hydration without clogging the pores and rebalances the sebum production.Thistle oil helps to reduce the size of pores and its composition makes it particularly suitable for oily and acne prone skin; Hemp oil is ideal to use in psoriasis, eczema and acne treatment products because of its high GLA content; Tamanu oil, the “miracle oil”, is invaluable for its amazing regenerating, rebalancing and antibacterial properties; Jojoba oil nourishes, soothes and rebalances the skin; Andiroba oil possesses analgesic, antibacterial and anti-inflammatory properties, the latter attributed to the presence of limonoids; Capaiba oil has a powerful antibacterial and antiseptic properties. Finally, the anti-inflammatory and bactericide properties of essential oils of Tea tree, Lavender and Chamomile greatly help the healing process. SKIN TYPES: Combination, Oily & acne-prone skin. Suitable for very sensitive skin, eczema, psoriasis, dermatitis. Breeze organic face oil is quickly absorbed by the skin without leaving any greasy residue. USE: Apply 1-2 drops to face and neck and massage into skin. For a lighter silky feel apply on damp skin, moisten with Pura Lavender or Rose toner. 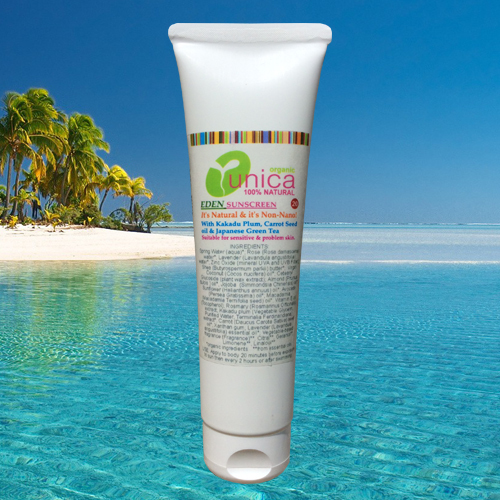 When needed, you can also add 2-3 drops of Breeze organic oil to your Unica cream for an even deeper nourishing and moisturizing action. A good source of essential fatty acids (Omega 3 and 6). Good for normal, large-pored to oily skin. Hemp seed oil contains 2-3% GLA.Hemp seed penetrates down into the skin and helps the skin to become softer. It also has a moisture-retaining effect. 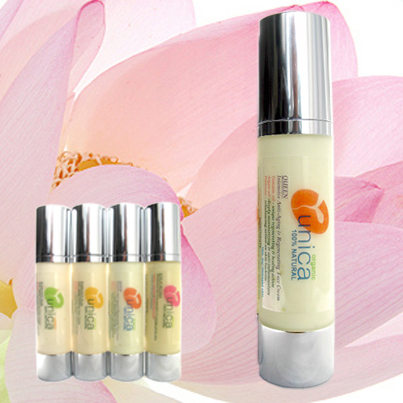 The GLA content makes it ideal to use in psoriasis, eczema and acne treatment products. it helps to rebalance oily and large-pored skin types to more normal skin. Andiroba oil is processed from the nuts of the Carapa guianensis tree, found in the Brazilian Amazon. It possess analgesic, antibacterial and anti-inflammatory properties, the latter being attributed to the presence of a group of chemicals called limonoids, one of which is andirobin. Andiroba oil is s a rich source of essential fatty acids including oleic, palmitic, and linoleic acids, which aid cell regeneration and help reduce pigmentation marks and it is used in many Brazilian cities as a topical remedy to alleviate skin irritations, to help ease joint pain, arthritis and rheumatism and to accelerate wound healing. It is very moisturizing and conditioning to both skin and hair. Copaiba oil contains a significant amount of kaurenoic acid, which has been shown to possess anti-inflammatory, smooth muscle relaxant and antimicrobial properties. It also contains a high percentage of caryophyllene, which has been documented to have anti-inflammatory benefits. Curanderos in the Amazon today use Copaiba oil to treat soft tissue injuries and joint pain to reduce inflammation. In North America, research has shown Copaiba oil to have pain relieving properties and it has been proven to be effective in many cases, such as muscle strain, tendonitis and certain types of arthritis. Acai Berry Oil is cold pressed from the berries of the Euterpe oleracea (Assai palm) tree, which is native to Brazil. It is dark red in colour, highly emollient and easily absorbed and contains a high percentage of oleic, linoleic and palmitic acids. It is also rich in anthocyanins and phytosterols, making it a very powerful antioxidant and anti-inflammatory. The significant content of anthocyanins has been reported to be 10-30 times higher than that of red wine grapes. The Acai Berry boasts the highest per unit value of antioxidant power (ORAC) of any edible fruit in the world. It also contains vitamins B, C & E and trace minerals.